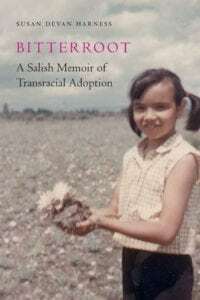 Recently, I was interviewed for a radio program in Missoula, Montana regarding my research on American Indian transracial adoption. It originally aired on Montana Public Radio (MTPR.org) Tuesday, December 11th 2012, on the program In Other Words, which explores experiences through a feminist perspective. The interview looks at American Indian transracial adoption and its intersection with race, history and class. If you weren’t able to catch it live, click on the link below to listen now. Click on the “►” icon above to stream the broadcast, or right click the Show Date to download the show. Fantastic interview! I do need a new copy of your book! Trace – thanks! The book is available on Amazon.com and other online booksellers sites. However, to get a paperback copy (which is far more reasonably priced) go to http://www.mellenpress.com and you can request copies there. We’re getting the word out, Trace. Keep up your great work.